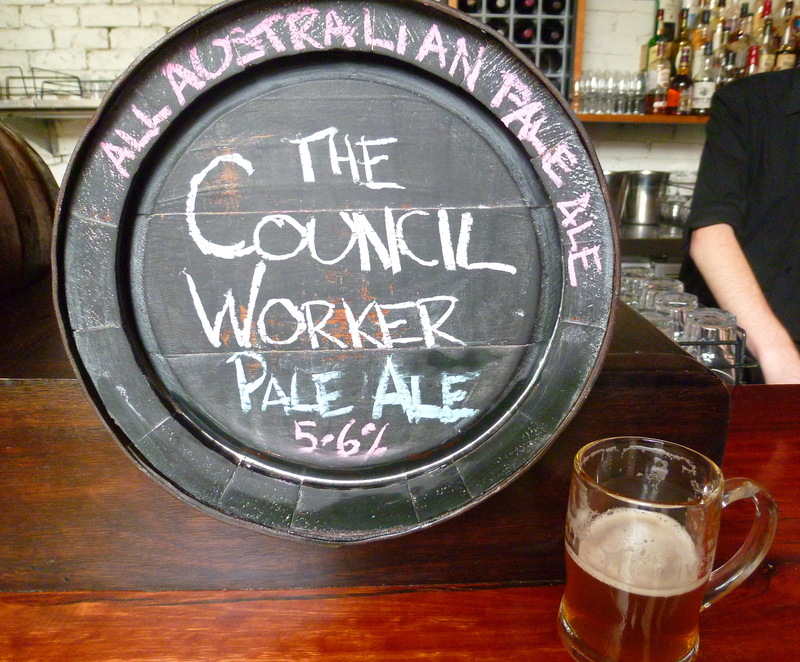 The Council Worker made it’s debut at Perth’s Five Bar event – South West in the City Festival. It was poured alongside Cowaramup Pilsner, Duckstein Fest Bier, Colonial Small Ale, Cheeky Monkey DIPA and Eagle Bay ESB. 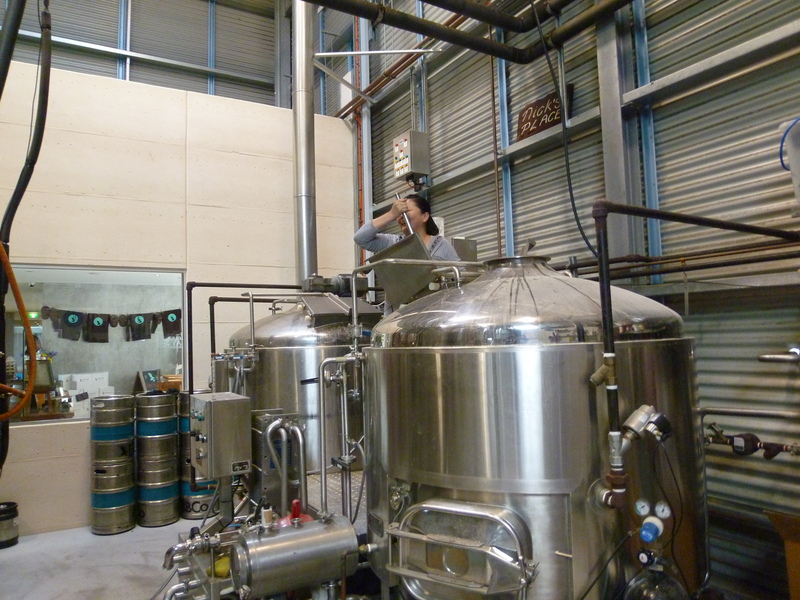 In short you could have taken a trip to several south west breweries without getting up from your bar stool. With WA Beer Week less than two weeks away it was a nice way to warm up the beer muscles and it was great to see so many faces from the WA beer community like Brian Fitzgerald, President of the Western Australian Brewers Association, Reece Wheadon from WA Beer Week and The Monk brewer Paul Wyman. A few of the brewers responsible for The Council Worker, Jared and Alex from Cheeky Monkey, Nick from Eagle Bay and Jeremy from Cowaramup Brewing made it to the event too, Jeremy fresh off the plane from Sydney’s Craft Beer Week, to mingle, drink and share the beer with some thirsty punters. I know I look drunk in this photo but I only had two beers, I blame lots of laughing and my own poor timing for my appearance. I should also say that Nick isn’t that tall and under no circumstances was he standing on a couple of wine buckets. Sadly a few of the brewers who made this happen couldn’t make it but a milestone in your child’s life is probably a perfectly valid reason; I’m looking at you Foxy. On the up side it did allow me to insert myself into the photo, after all I did a lot of very important stirring. The Council Worker ended up a pretty heavily hopped pale ale thanks to a big dose of Galaxy in the dry hopping. This beer definitely had some balls along with big fruity and piney flavours that you’d expect from an American style pale but balanced out really nicely with big malt that gave it an almost caramel undertone. Since I was driving I allowed myself just two beers and the second was a tough choice. I had salivated at the idea of Cheeky Monkey’s Double IPA but at 8.3% abv I can’t imagine mister police officer understanding how a beer can be irresistible. Instead I went for Colonial’s Small Ale, indulging once again in my recent love for tasty lower alcohol beers. It’s that damn good that Paul Wyman, head brewer at The Monk, reckons Colonial’s Small Ale will take out a medal or two at this years Perth Royal Beer Show. 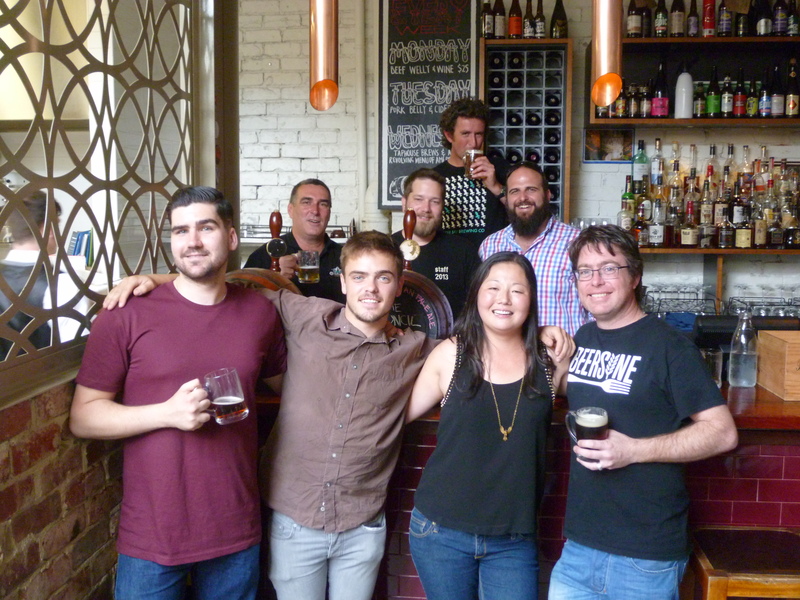 Congratulations to The Monk & brewer Paul Wyman on their Beer & Brewer Magazine Awards! On the subject of awards Paul was runner up for Young Brewer of the Year and his venue The Monk took out Best Brew Pub/Bar all at this years Beer and Brewer Magazine Awards. 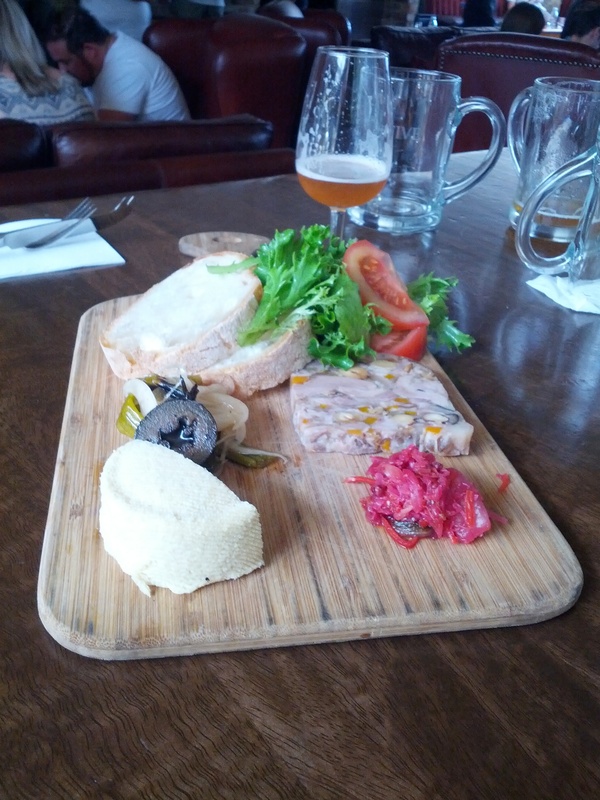 Like any beer event at Five Bar the beer was accompanied by some sensational food, namely a South West Ploughman’s Board by Beersine, aka Mitch Mitchell. I am proud to say that I devoured this board in a most unladylike fashion. Smoked big red pork and hazelnut terrine, Colonial pale ale cheese, red cabbage Kim chee, pickled colcotte and salad onions with cooladerra extra virgin olive oil. I left this event with a huge smile on my face, a new beer mug and pumped for WA Beer Week! I don’t know how much of The Council Worker was left at Five but if it’s still there I’d highly recommend checking it out. For those of us in the south west, keep an eye out because it may pop up at the likes of The Pourhouse, Clancy’s Fish Pub Dunsborough and/or participating breweries. Thank you to Margi and the team at Eagle Bay Brewing for hosting the collaboration and inviting me along, Macca and the guys at Five Bar for letting everyone invade the bar, all the brewers who got involved and of course to all the smiling beery folk who rocked up to support WA beer. See you all in a fortnight! You are all a bunch of Legends and a lot of people in WA owe you their gratitude !